Like most of you, my business colleagues, I’m used to running at 6000-7000 rpm. In that mode with obstacles flying, it is a challenge to reflect and synthesize life. But now, in between firms, I have more time to reflect so I thought I’d share my thoughts in a post that you can read in just a few minutes. I hope you like it and welcome your comments. Like over 100 million people around the world, I am going to watch the Super Bowl on Sunday. I love championship games as a face-off between great teams and coaches. I will be rooting for Aaron Rodgers, a Cal grad, and his Green Bay Packers but I am disappointed they are not facing Tom Brady and the New England Patriots. The Patriots won 14 of 16 regular season games, the best record in the league. Brady and Coach Bill Belichick were individually regarded as the best in the game this year, being named the AP Offensive Player and Coach of the Year, respectively. It is interesting and somewhat exceptional that these two awards went to people not in the game on Sunday. By comparison, the Defensive Player of the Year, Troy Polamalu, and the runner-up, Clay Matthews, are the defensive leaders of the Steelers and Packers, the two teams playing on Sunday. I am quite sure that Brady and Belichick would trade their awards in a nano-second for the chance to play in the Super Bowl. The Pats are consistently one of the best teams and Brady is generally regarded as one of the top two or three quarterbacks but they haven’t won a Super Bowl since 2005. They made it back to the big game in 2008, capping the only undefeated 16 game season in the history of the league. They faced the Giants in the Super Bowl and were leading 14-10 with less than 3 minutes to go. They had the Giants cornered in a 3rd and 5 situation with 1:15 to go on their own 44 yard line. Giant’s QB Eli Manning dropped back to pass and was nearly sacked but escaped and threw the ball to David Tyree who made one of the most improbable catches ever, pinning the ball on his helmet with just one hand. From there the Giants were able to score the winning touchdown while Tom Brady watched from the sidelines. How small is the margin between a great team and a championship? A while back, I wrote a post titled 1° makes all the difference about the incredible expertise, courage, grace and sometimes luck found in the tiny margins between victory and defeat. Like David Tyree’s catch. Brady will be 34 years old by the start of next season and is in his final years as a top player. John Elway was the oldest quarterback ever to win a Super Bowl at the age of 38. So, as good as the Pats are, I wonder how many more chances Tom Brady will get? With sports as a metaphor, the real question I’m asking is how many more chances will I get? How many more shots at that job, that big deal, that goal…? I feel a strong sense of urgency around my goals these days. I resonate with Tom Brady who must sense the limitations of his football career. I have more great years of my career left than he does but I’m also aware of an end that I didn’t used to consider. Similarly, I’m sure that Brady didn’t consider the pressure of his years when he first won the Super Bowl at the age of 24, the youngest quarterback at that time to win the game. With that in mind, I feel compelled to “make it happen”. Not unlike an athlete’s determination on the field, I have learned that extreme effort and total focus can lead to great results. I try to find the 10 things, no the 100 things, to overcome the 1° between victory and defeat. Never give up. Never stop believing. You can’t control what life brings you. You can’t control the market or prevent natural disasters. You can’t make the other person say yes. Unlike football, most goals in life revolve around relationships. Finding the win-win solution involves listening, understanding, trust and a compatible desire on the other side of the table. Driving the ball down their throat is a coarse football analogy that doesn’t work so well off the field. When you let go of the outcome, there is room for unexpected, unpredictable new directions. For results greater than you could have imagined. For grace. And, for relief from self-loathing and blame that comes with defeat when you are sure you can make it happen. The hardest part is knowing when giving your all gets in the way of letting go of the outcome. I struggle with it every day. The pattern is the same in business, sports and most disciplines I can think of. The vast majority of innovations are incremental and provide an advantage for a short period of time. Then, once in a great while, a disruptive change comes along that upsets an entire industry. 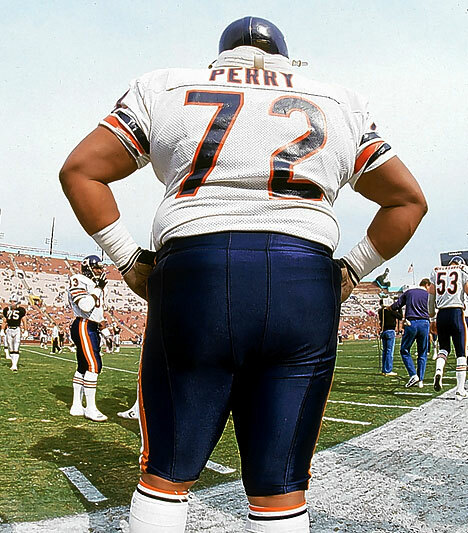 In 1985, William “The Fridge” Perry was drafted by the Chicago Bears and joined a handful of super-sized players who weighed over 300 pounds. The Fridge weighed closer to 380. He was a huge fixture (appliance?) on the defensive line for the Bears but opposing teams considered him too slow to be much of a factor and they simply ran around him. You can run or work around one big obstacle. On the other hand, if you put 4 or 5 of them side by side, the game changes and this is what has happened in professional football over the past three decades. In 1980, just prior to The Fridge joining the league, there were only 3 300-pounders in the NFL. Then Perry and others ate their way into this club and by 1990, 94 players tipped the Toledo over 300. By 2000, it had become the norm with more than 300 300-hundred pounders in the league, an average of 10 per team. Now, there are over 400. The college game has followed suit. For example, the starting offense lines in the upcoming national championship game between Oregon and Auburn average 296 and 307 pounds, respectively. The impact to the game has been dramatic and it is fair to characterize the 300-pound phenomenon as a disruptive change. Combined with the increasing specialization of players and sophistication of offensive and defensive schemes, every play has become its own major production. This takes time and, if you watch, you’ll notice that most teams take the full 30 seconds allowed between plays. Personnel frequently swap in and out, often carrying instructions for the next complicated play from the sideline to the team on the field. The other benefit of using the full 30 seconds between plays is that it allows the players, particularly the big men, to catch their breath. Now comes a disruptive change by the University of Oregon and its coach, Chip Kelly. Yes, the University of Oregon! Surprised it’s not one of the perennial powerhouse teams like USC, Texas or Alabama? Oregon runs its plays twice as fast as most teams with an average of only 17 seconds between plays and sometimes as little as 5 seconds. The essence of this strategy is simple – to exhaust the opposing defense – but the implementation involves a number of additional innovations. Kelly calls plays in sets rather than one at a time. As a result, Oregon’s offense seldom requires a huddle to call the next play. When they do need to communicate with the sidelines and each other, the coaches use big flash cards with a symbol-based language. The sequence of plays take into account the intended location of each player at the end of the play and minimizes re-alignment for the next play. Player substitutions are pre-planned and made the instant the previous play has been completed. All of these innovations are designed to shorten the time between plays. The pace of Oregon’s offense is unique and it is completely counter-cultural to today’s highly-specialized play-by-play game. Everything teams have done in recent decades to compete more effectively works against them. They don’t have time to reset their defenses, to substitute specialized players for certain game situations or even to give their players a moment of rest. Imagine the frustration! Several times this season, opponents have even faked injuries to try to slow the game but exhaustion is inevitable. Oregon has scored an average of nearly 50 points per game, is undefeated and playing for the National Championship game on January 10th. The strategy is working. I am particularly intrigued with designing successful strategies and balancing conformance and differentiation. What I mean is that you have to conform to the game as it is played before you can do something different. For example, Oregon’s strategy has to conform to the rules of football and compete with strength, size and specialization of the opposing teams. In my world whether pitching a new project or finding the win-win between deal partners, there are always requirements that must be met as the first order of business. The client or deal partners need to know that you can meet their expectations, work within the law and meet the needs of the market. However, you seldom win by just meeting the specs. Winning requires something extraordinary, unexpected, insightful or delightful to differentiate from the competition. For example, in previous years with a more conventional offense, Oregon was just another good team but not a champion. Seth Godin wrote in a recent blog, “the act of deciding [where to stand out] is the important innovation. Some of the elements you use should be perfectly aligned with what we're used to. The others... Not a little off. A lot off." The less you are known, the more this is true. This prompts unknown upstarts to take great risks and is why most great innovations and disruptive changes come from unexpected sources, like the University of Oregon. Merry Christmas and Happy Holidays to you, my friends. As I finish up the turkey preparations this morning, I’m reflecting on a powerful experience this past week for which I’m grateful. I mentioned a couple of weeks ago that my daughter’s water polo team from St. Ignatius was preparing for a showdown in the semifinals against juggernaut Sacred Heart Prep. It was a heck of a game, particularly close in the first half, but SHP prevailed and went on to win its 4th (I think) consecutive CIF crown. I could go on about the game and the great plays but the experience I want to share this morning is how our team handled losing. The night of the loss Coach Paul Felton sent an email congratulating the girls on a great effort and concluded with a provocative quote, “Losing, in a curious way, is winning." This stopped me in my tracks. How do we think about losing? How do we teach losing in our culture? In my mind, neither is appropriate. We don’t have to teach the desire to win - we are born with it. We shouldn’t dilute the great feeling of accomplishment by sharing it falsely. And, we don’t have to teach that losing is no fun. We all feel that way. What we need to teach is how to win and how to lose. I did some simple research to see how we are doing. There are 20,205 books listed on amazon.com with the word “winning’ in the title, but only 4,597 that include the word “losing” and many of those have to do with dieting. While there are a few good books, for example, parents may know Wendy Mogel’s book, “The Blessing of a Skinned Knee”, the vast majority of literature is about winning. Winning sells books but we can’t win without losing, at least if we are pushing limits and reaching for lofty goals. Some will say there is no such thing as a good loser or (mis)quote Vince Lombardi, “You show me a good loser and I’ll show you a loser” but I’m not talking about people who like to lose or are carefree about losing, if there is actually anyone who feels that way. I am talking about people who strive to win but lose, who set lofty goals and don’t achieve them, who try something great and strike out. How do we encourage these ambitions? And, how do we cope with losing? “There is no comparison between that which is lost by not succeeding and that which is lost by not trying.” - Francis Bacon, Sr.
encountered heartbreaking obstacles before they triumphed. They won because they refused to become discouraged by their defeats." And the full quote that Paul Felton shared with the water polo team. Thanks Paul for your teaching! One of the hardest phone calls I ever made was to my sister, Kathleen, when I had to tell her that I had crashed her car. It was 1977 and the very day I turned 16! She had kindly lent me the car so I could exchange her gift to me, the latest Kansas album that I had also received from a friend. 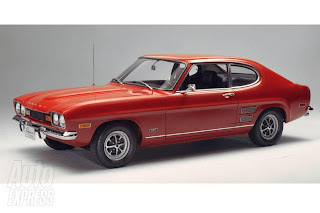 A lot of things have changed since 1977 but something that hasn’t is the way high school kids cherish a car as the most significant symbol of their growing independence. 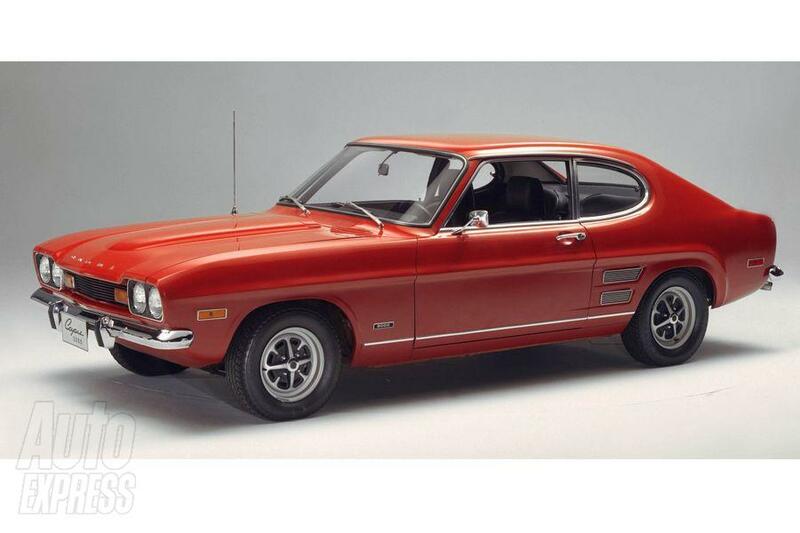 Kathleen’s car was a 1971 Mercury Capri with a stick. Not only was it a cool car (it’s all relative, kids) but my sister was a big deal on campus so everyone, and I mean everyone, knew that car. There was no going back on this, no way to undo it and no way for me or Kathleen to stop the flow of this juicy story. Almost as fast as by text messaging, Newport Harbor High School would learn that Kathleen DeRuff’s kid brother had wrecked her car! The genie was out of the bottle and not going back in. Digital content and the Internet. In the 1970s, it was typical to get 2 or 3 of the same album for a birthday because there were many fewer recorded musicians than today. Expensive shelf space in the retail records stores was a limiting factor. Today, with the digitization of music files, shelf space is not an issue. We can store over 60,000 songs on a $50 disk drive. Moreover, the risk of trying new music has essentially been eliminated. We sample music before buying and buy only the songs we like for a mere 99¢ apiece. We buy from the comfort of our homes or the convenience of our smartphones. In addition, the cost of producing music has dropped to the point where it is feasible for practically anyone to make a high quality recording. With low risk buying and low cost production, creativity has been unleashed and we have a proliferation of new genres of music and new artists. It’s fabulous, as most of you well know. All new music is available online and most of the music we grew up with is as well. There have been a few holdouts over piracy concerns and economic issues, most notably the Beatles. I suspect the lack of online availability hurt them more than it helped them and today iTunes announced that the Beatles are available online for the first time. The genie is, indeed, out of the bottle. Today’s Beatles' news makes the music industry a topical example of the trend toward digital content in all industries and the huge impact of this trend. Collaboration gives rise to new economies. Collaboration is accelerating on the world stage. The advent of reliable, low cost communications has had an enormous impact. Voicemail and email have enabled conversations to be time-shifted to accommodate disparate time zones. The Internet and other forms of open markets enable people in different countries to bring together the best talent and resources at the lowest cost. Trust is a key enabler. As people work together more closely, trust rises and more intricate forms of collaboration are possible. Software developers collaborate to create open source software. Scientists share their work openly for more rapid advancement of ideas. Suppliers and consumers do business directly through online markets. Knowledgeable people worldwide collaborate to create the online encyclopedia called Wikipedia. The digitization of content, proliferation of tastes and products to match, and new age of collaboration are pillars of our global, interconnected world. These forces are also driving toward universal access to education, information and wealth creation. It is complex and fascinating. It is also a tidal wave that can’t be stopped. The genie is out of the bottle. I’ve touched on a lot in this blog, much of it sensitive, and left out much more. Issues on my mind include the role of leaders, strategies for success, excessive dependencies as seen in the worldwide financial crisis and environmental issues. I’d love to hear your thoughts privately by email or in an open forum on the blog. · If you are interested in more on the proliferation of digital content, Chris Anderson has written a fascinating book called The Long Tail. · For more on the growth of collaboration, watch Howard Rheingold’s talk on TED. It’s a 19 minute video worth watching. It’s white knuckle time in high school sports. Here in the San Francisco Bay Area, the California Interscholastic Federation (CIF) playoffs begin this week. Some teams will over-achieve. Some will disappoint. The mental aspects of the game are often the difference. My daughter’s water polo team from St. Ignatius College Prep (SI) went to the Central Coast Section finals last year by virtue of a major upset in the semifinal round. With many returning players, we have high hopes again this year. However, we are likely to face the number one seed, Sacred Heart Prep, in the semifinals. Can we pull off another upset this year? I’ve been reflecting on my own experience with these recurring inner battles between fear and doubt on the one hand and peak performance on the other. The following ten tips are a synthesis of my experience as an Olympic athlete and investment banker. 1. Name your fears. Writing them down calls the phantom out like waking up takes the horror out of a bad dream. 2. Take care of yourself. Eat well. Get enough sleep. 3. Prepare physically and mentally. Practice hard. Study your opponent’s strengths and weaknesses. 4. Add an unexpected element to your game plan. 5. Consider your teammates, work colleagues, family – those who depend on you. We are social beings and find a higher calling in our obligations to each other than to ourselves. 6. Relax. Take a deep breath, in through your nose, out through your mouth. Listen to music. Chew gum. You can only play at the highest level if you are relaxed. For Giants fans, channel Tim Lincecum. 7. Go for it. Play with passion. Make things happen. Take smart risks and don’t be afraid of mistakes. Let your natural genius flow. 8. Trust yourself, your teammates and your coach. Expect and encourage the best from all. 10. Never, never, never, never give up. We had tombstones in our front yard last night. My 11 year old son, John, and I made them. The hard part was coming up with names for the departed that were just the right mix of silly and creepy. Al B. Back. Justin Peeses. I don’t think we scared anyone (hope not) and it is fun to pretend, decorate the house and have a block party. Kids and a surprising number of adults in our area like to dress up as someone they want to be or someTHING that will get a reaction. If you didn’t dress up last night, you remember the feeling. It is exciting to try on a different identity. It is a way we connect with each other and share our inner thoughts, hopeful or provocative. Last night there were lots of Giants ball players, including John, and the classic assortment of princesses, super heroes and walking dead. Halloween is perhaps the easiest and most social of holidays as there are no religious, cultural or familial barriers. Opt in, try a fun identity, give gifts and greet the neighbors. It is all good. The real “fright night” is tomorrow, Election Day. The scare tactics, misrepresentation and vilification of opponents are truly frightening and polarizing. It really is the antithesis of Halloween. I know the theory behind negative advertising is that comparisons are helpful since candidates are unlikely to feature their own shortcomings and that airing both the pros and cons leads to better decision-making. That may work if the information is objective and honest within societal norms. We’re not naïve to a little exaggeration or spin. However, most political ads are so ridiculous that they are useless. Candidates accusing each other of being irresponsible, corrupt and unethical are all of the above. No wonder voter turnout is so low and disapproval ratings of our elected officials are so high, currently greater than 70%. The issue is trust. In our world, the highest accolade one can attain is that of the “trusted advisor”. One who speaks with wisdom. One who speaks the truth when it is hard. One who is reliable. One who admits when he doesn’t know or is wrong. One who can put the best interests of his clients ahead of his own. One who can bring opposing sides together by finding common ground and a win-win solution. The status of the trusted advisor is difficult to attain and easy to lose. If you violate your clients’ trust, your trusted advisor status may be unrecoverable or is certainly more difficult to secure. Sadly, most politicians don’t appear to understand this. The relentless negative ads create a lasting impression of corruption and dishonesty which cannot simply be put away until next year like the Halloween tombstones John and I made. Trick or Trust? We need to demand the latter. Like most of you, my business colleagues, I’m used to running at 6000-7000 rpm. In that mode with obstacles flying, it is a challenge to reflect and synthesize life. But now, in between firms, I have more time to idle. So, I thought I’d share my thoughts in a regular post that you can read in a couple of minutes at a stop light. Today is my first – let me know if you like it. My college varsity crew, the “Great Cal Crew of 1982”, raced in the Head of the Charles over the weekend. We hadn’t rowed together for many years but managed to finish 13th out of 40 in our event. A close look at the results showed that we were only 4% out of a top 5 finish. Not bad for our comeback row and 6 months of training. The challenge is that the final increments of improvement, the final 4% in our case, are always the most difficult. Doing significantly better next year will require twice as much training. The San Francisco Giants are advancing to the World Series for the first time since 2002. It’s been a thrilling, nerve-wracking playoff season for us Giants fans. Seven of their ten playoff games have been decided by just one run, including Saturday night’s nail-biter to win the NLCS. The Giants are led by strong pitching and have done a masterful job with mid-season trades including Cody Ross who was the MVP in the NLCS. With all that, it so often comes down to the smallest margin of victory, one run. Most prizes worth winning are hotly contested and decided by a small margin. Victory must be earned with talent, expertise and an intense desire to prevail. There was an aspect of the Chilean Miners’ rescue that caught my attention. Macarena Valdes was the topographer responsible for guiding the probes in search of the miners. In an application where extreme precision is called for, she altered the calculations by 1° to compensate for drill vibration based on her expertise with similar equipment. However, at 2,000 foot depths, it was possible that her adjustment would result in missing the target locations completely. Through two weeks, there were no positive results and her team had to have been fighting hopelessness. Imagine the pressure on Ms. Valdes, especially as one of very few women in a male-dominated profession! But on the 17th day the 30th probe punched into a chamber and the miners tapped back. Her 1° adjustment may have saved those 33 miners. What extra effort or special talent or refined expertise are you going to invest today so that your team can win tomorrow? Expertise in capital raising and M&A focused on leaders in information and clean technologies. Over 25 years investment banking experience at Morgan Stanley (the early days), Montgomery Securities (riding the IPO boom of the 90s), DLJ (at the peak), East Peak Advisors (founder and managing partner) and FBR Capital Markets (which bought East Peak). Proud to be a member of the 1984 Olympic team. Degrees from University of California at Berkeley (B.S.) and Harvard Business School (MBA).